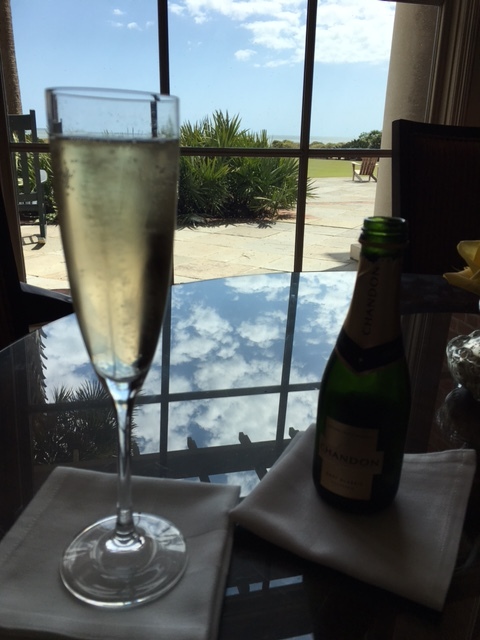 The Sanctuary at Kiawah Island - Two nights felt like two weeks! 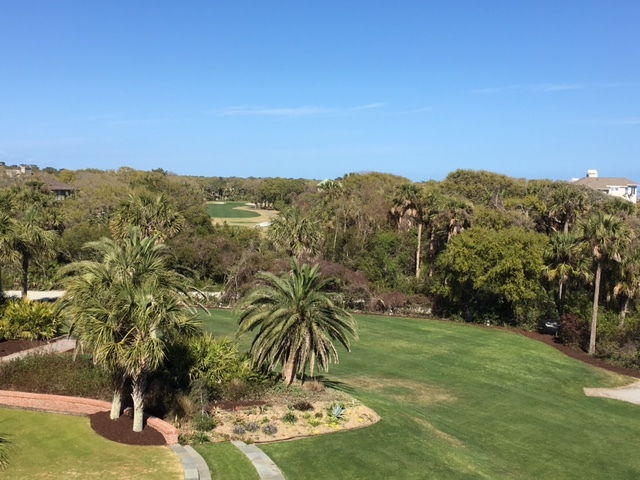 I recently had the opportunity to visit the stunning Forbes 5* ranked Sanctuary Resort, a beach hotel located along the pristine shores of Kiawah Island, South Carolina. 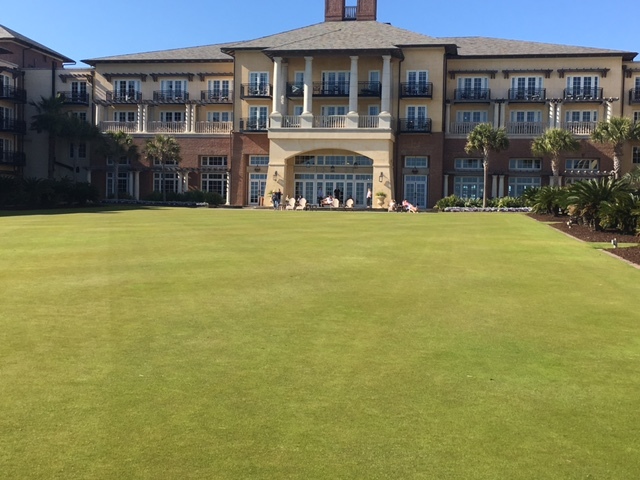 This exquisitely designed oceanfront hotel, just 21 miles from downtown Charleston, captures the spirit, history and charm of the beautiful south. 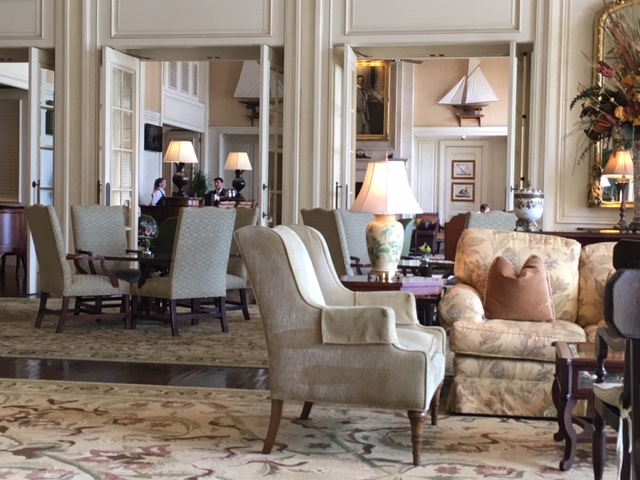 From the moment we walked into the lobby of the Sanctuary at Kiawah Island and looked through to the Grand Lawn and the Atlantic Ocean beyond, time slowed noticeably. The relaxed grandeur of the interior of the Sanctuary combined with its stunning coastal setting transported us far away from the hustle and bustle of everyday life. 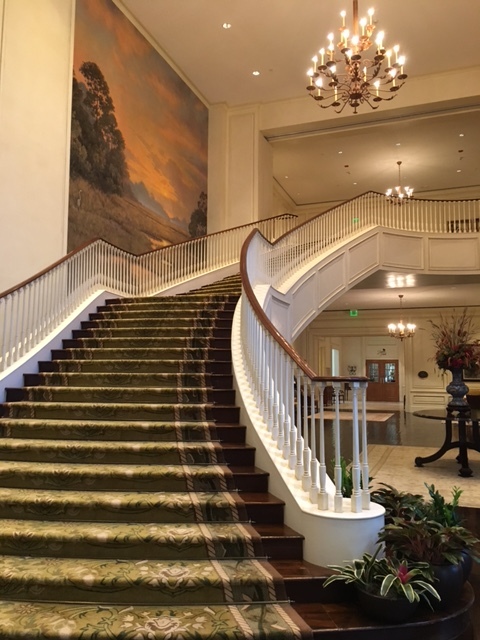 Warm southern hospitality welcomed us and we felt as if we’d taken up residence in a grand southern seaside mansion. 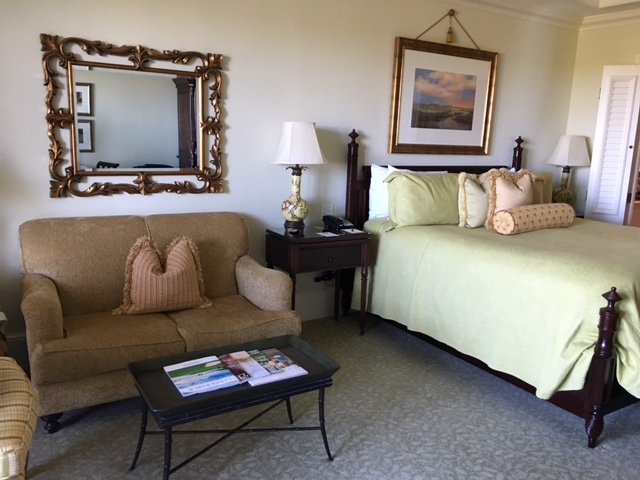 The view from our elegantly furnished room did not disappoint, taking in ten miles of pristine Atlantic Ocean beach and one of the resorts unparalleled collection of five expertly designed golf courses. Pete Dye, Jack Nicklaus, Tom Fazio, Gary Player and Clyde Johnson have each taken advantage of the island’s beautiful topography of rolling sand dunes, saltwater marshes and serene maritime forests in their own unique way to offer golfers a range of experiences to test their skills. This is a golfer and tennis player’s paradise – world class facilities and instruction are offered. 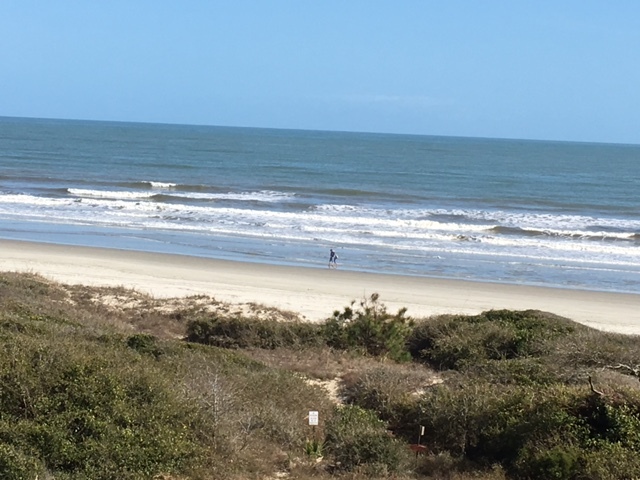 Kamp Kiawah for guests 3 to 11 years old keeps the kids occupied and engaged. A range of dining, recreation, spa, activity and accommodation options means everyone can find their perfect retreat whether you’re looking for a romantic getaway, some family time or a road trip with friends. Set aside at least a week to explore the wonders of this magnificent resort – you won’t be sorry.